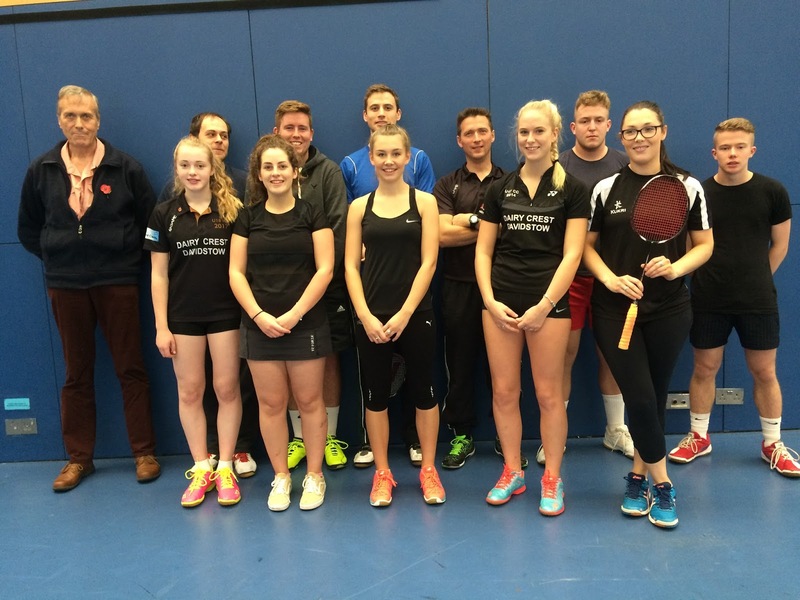 Cornwall's top players began the season with the first two matches in Bristol at the weekend with some new and returning faces in the team. Liskeard's 14-year-old Cara Collins, the new county champion, was making her senior debut, alongside Tom Lyle from Launceston and Camborne's Kellen Moore returning to the first team to join the regular players. The team began their campaign against Worcestershire in the singles with some hard-fought games. Cornwall's best men's singles player from Launceston, Liam Sillifant, lost a difficult match to a strong opponent while younger brother Tyler had success in the second singles, and St Austell's James Whetter narrowly lost in three tight ends. Both women's singles also went the distance, with Cara having an excellent victory and Kellen being unlucky to just lose after fighting back well. The men's doubles started badly with James and regular partner Guy Michell beaten by a strong Worcestershire pair, but Tom and Ross Lashbrook, resuming their original partnership had an exciting win in three very close ends to make the match score 4-3 going into the women's doubles. 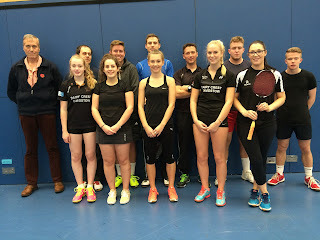 Once again, the top pair were too strong for the Cornish girls Johanna Philp and Bronwen Wotton, but Kellen and Amy Polglase, another established pairing, turned it round and did well to win in three. Cornwall needed both mixed doubles games to take victory which suddenly looked possible after Guy and Bronwen comfortably took the first mixed to make the score 5-5 with the last game to play. Tom and Jo had the Cornish supporters on edge as they lost the first, won the second, and then just edged the third 22/20 to win the match overall. Next up was a powerful team from Guernsey for the tiring Cornish players, and this led to the match score being 4-1 to Guernsey after the singles, despite Tyler and James battling to three ends, and Amy easily winning her singles. Worse was to come in the men's as both Cornish pairs were beaten, as well as Jo and Bronwen losing in three, but Amy and Kellen reversed the trend by winning convincingly and giving Amy a 100% success rate for the day. Finishing the match Guy and Bronwen had run out of steam at first mixed but once again Tom and Jo had a fantastic close victory to take the final third end 22-20 for the second time, and finish the match 8-3 to Guernsey.